Roskilde Festival Coverage | Mutuk5. 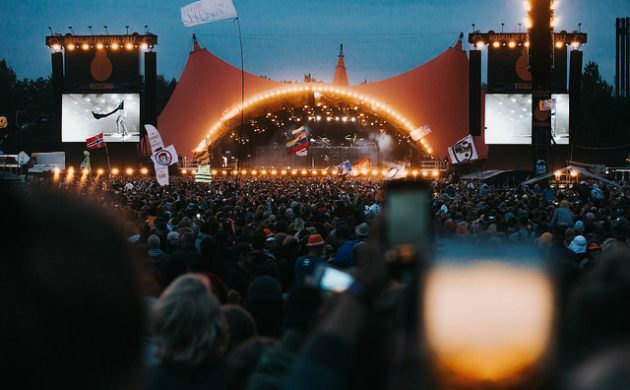 The patchy weather over the last few days has not swayed the tens of thousands of festival-goers who’ve made their way to this year’s Roskilde Festival for yet another year of merrymaking. The logistics of organising a festival that houses a crowd of around 130,000 for a week of camping, concerts and debauchery are, as you might imagine, quite eye-opening in themselves. Fuelled by the efforts of 32,000 volunteers each year, most of whom have volunteered for an average of five festivals, Roskilde Festival is, at its core, a non-profit fuelled by charitable efforts. The event also makes an effort to ameliorate global social issues through numerous dedicated initiatives. Befittingly, this year’s theme is hinged on focusing on cultural inequality, which it hopes to address through art, music, activities and donations. One of the many organisations present at this year’s festival is the Settle N Share project – an experiment involving communities co-operating to strengthen the unique camp feeling at the event. Volunteering 4 Life – a youth-based initiative that works to create cultural programs for youth within the fields of sports, music and European youth exchange with a focus on creating a link between Roskilde Festival and the Erasmus + program – is but one of the many initiatives in this year’s Settle N Share. This year, Volunteering 4 Life is focusing on educating the youth in volunteering in close collaboration with Roskilde Festival and other partners. According to Raymond Andrews, a benefactor of the youth exchange program, the non-profit, community-centred aims of Roskilde Festival are an ideal platform through which the volunteers of the initiative can gain a hands-on introduction to the philanthropic goals of the event. Essentially this entails its 52 volunteers at the festival being introduced to companies such as DXC – a tech multinational typified by high levels of employee retention and a hiring process that doesn’t involve hiring specialists but rather aims to hire based on matching skill-sets, informal or formal, which can be matched with its needs as a business. The aim here is to inspire and equip the program’s volunteers with informal skills for their career development. To orchestrate this, app-making and other tech-based knowledge sharing aimed at boosting the competences of the volunteers are central to the work of Volunteering 4 Life at Roskilde. Similarly, it is hoped that festival initiatives such as Settle’N Share and REACT (a recycling system) will foster a strong dialogue between some of Roskilde’s aims and the Volunteering 4 Life program’s volunteers, who will work for a period between 24-32 hours during which they will support the needs of other festival-goers while engaging in informal learning experiences. Outside of the festival, the Volunteering 4 Life program links to the goals of the Erasmus + mobility program through which it aims to maximise the potential of the youth in an increasingly competitive labour market, typified by a lack of practical expertise and speculation emanating from global financial instability. Via the aforementioned Erasmus + program, Volunteering 4 Life creates the opportunity for groups of young people aged 13-30 from different countries to meet and live together for up to 21 days – a project dubbed ‘mobility youth exchange’. Other organisations involved in the youth exchange include Battle IT (Estonia), Nordic Heights (Finland), Youth School Vilnius (Lithuania), H2o (Portugal), Atrendia (Spain) and Handicap Team (Sweden) amongst others. During this time, joint programs centered around workshops, debates, simulations and other activities take place, with the aim of building competences and creating awareness around socially relevant topics. 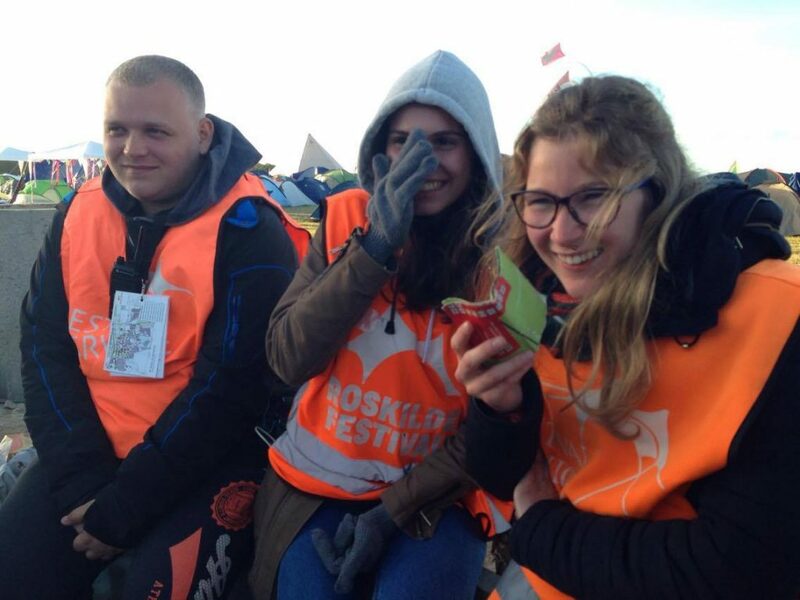 Visit Volunteering 4 Life at Roskilde Festival (you will find them located in the camping area ‘P’) or check out their website for more information about their work. Original article written for The Local, available here. Denmark’s biggest annual party kicks off on Saturday, when the Roskilde Festival will open its gates for the 46th year in a row. As some 130,000 fans prepare to descend on the festival grounds for eight days of music and merry mayhem, we take a look at some of the things we’ll be keep a close eye on during this year’s festival. 1. What will the weather be like? Let’s start with the obvious: the perennial weather question that everyone asks themselves ahead of the festival. Festival-goers are particularly keen to hear the forecast for this year’s festival, given as Roskilde comes after a week that has provided both glorious sunshine and ravaging thunderstorms. Which of those will continue through next week? Well, at the time of writing the Danish Meteorology Institute (DMI) was predicting a cloudy albeit mostly dry week ahead, with the exception of Wednesday. However, as always, the unpredictable Danish weather will be certainly a force to be reckoned with. 2. Will the music lineup please or disappoint? Roskilde sold out in good time this year, indicating early signs of impending success. Its music lineup this year features quite a few major hip-hop acts, such as Wiz Khalifa, Action Bronson, House of Pain and Vince Staples. This is a lineup that is inclined more towards an urban sensibility than it is anchored in the rock and metal heritage that has come to define Roskilde over the years. Still though, there is also plenty on offer for the headbangers, from heavyweights Slayer to Nordic upstarts Kvelertak, and there are acts like Neil Young that should be able to assemble the diverse masses in front of Orange Stage. Will this year’s lineup pay dividends for the organisers? 3. Will the Red Hot Chili Peppers redeem themselves? The last time the Peppers graced the Orange Stage, they bombed abysmally. Their 2007 performance was so roundly slammed by audience members and critics alike, that it was all anyone talked about when they were added to this year’s bill. Will they be able to silence their critics? 4. 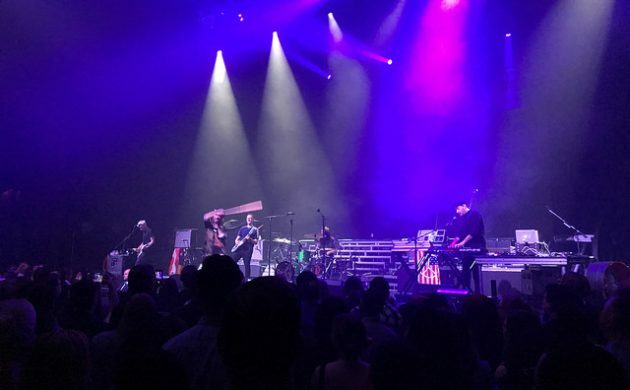 How will the political message behind the Orange Stage’s opening act go down? The festival’s legendary Orange Stage will be opened this year by the Orchestra of Syrian Musicians, a clear political statement by the organizers given the hot-button issue of how Denmark has reacted to the Syrian refugee crisis. The musicians were scattered across the world as the Syrian Civil War erupted in 2011, but now the 90-strong orchestra will be reuniting for one of their first ever concerts together since fleeing the country. The orchestra, conducted by Issam Rafea, will be joined by none other than Damon Albarn of the Gorillaz and Blur fame, along with other special guests. The show could be one of the most breath taking performances of the entire festival (especially considering that Albarn had to literally carried off the stage the last time he visited Roskilde). 5. How will Roskilde fair against growing competition? Denmark’s music festival scene has really come alive in the last few years, and it seems like more and more huge international stars are gracing stages across the country. This year has already seen the one and only Iggy Pop headline Aarhus’ NorthSide, the multi-award-winning spectacle that is Rammstein come to Funen’s Tinderbox and the British music legends Black Sabbath including Copenhell on their farewell tour. Roskilde has, of course, still brought some huge names to Denmark once again this year, but will the growing reputations of NorthSide, Tinderbox and Copenhell challenge the dominance of Roskilde as Denmark’s biggest and best music festival? Or will the increase in competition see Roskilde raise the bar to an unprecedented level this year? We are waiting with bated breathes, but only time will tell! 6. Will our Roskilde virgin survive? 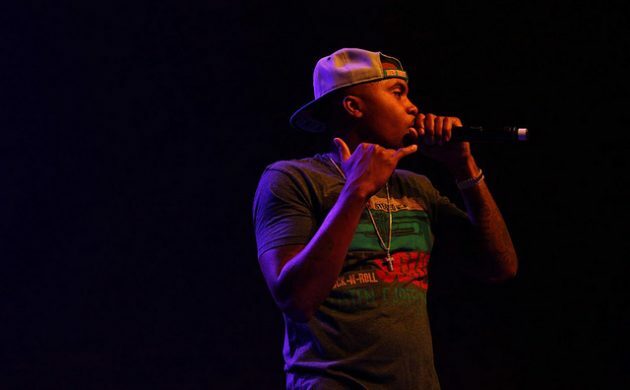 The Local’s former intern Chris Manion will be attending his first music festival ever. The Local has been covering the festival since we launched in Denmark in 2014, and some of our team have been coming since long before that. But this year, we will also have a ‘Roskilde virgin’ with us. Former intern Chris Manion has not only never been to Roskilde before, he’s never been to a music festival. “Since coming to Denmark two years ago, my 24-year-old festival virginity seems to be a thing of sheer unbelief,” he said. “Upon informing the inquisitive Dane of my disinterest in music festivals I summarily receive a noise akin to a dying sea otter, followed by a fantastically enthusiastic ‘ROSKILDE IS THE BEST EXPERIENCE YOU WILL EVER HAVE!’. So this year I’m going to do it, take the plunge, get down and dirty, and see if this Roskilde festival is all it’s cracked up to be. Don’t worry, us veterans will look out for him. 7. How much of a mess will be left behind? Another perennial Roskilde query. Once the maddening crowds have left and the camping grounds resemble an apocalyptic dystopia, the question of who will clean up the mess always arises. Roskilde Festival incurs significant expenses each year in mopping up after its hedonistic guests, who leave behind everything from fully functional tents to rich stocks of tinned food. Much of what is abandoned is donated to worthy causes. 8. Will Roskilde fix its ‘collector problem’? Continuing on the same tangent, Roskilde’s guests drink over one million litres of beer every year, resulting in millions of beer cans spread around the festival grounds. Denmark’s can remuneration system ensures that many of these cans are recycled, thanks to an influx of hundreds of can collectors primarily from Africa and the Roma community at events such as Roskilde. Those collectors help recycle cans and bottles while earning some money for themselves, but their interaction with festival guests isn’t always as happy as in the video above. The collectors become an underclass that works in poor conditions, often marred by racist overtones and abusive reactions from merrymakers. They have also faced notoriously long lines in recent years to collect their deposits but organizers have worked hard to improve conditions for those who clean up after the rest of us. The Roskilde Festival begins on Saturday, June 25th and runs through Saturday, July 2nd. The first four days serve as “warm-up” and feature a number of up-and-coming Nordic acts and scores of activities on the campgrounds. The main music line-up begins on Wednesday, June 29th.